I had the misfortune this week to see my first F-Pace on the road. I’ve also had the misfortune to be bombarded by the ridiculous radio ad telling us how despite the fact the F-Pace (what a ridiculous name) is a bloated SUV, it has the soul and “DNA” of a sports car. Now obviously the “bloated” part was me but the rest of the gibberish is verbatim from the ad. I looked very closely at this car. I squinted and stared from many different angles. What I did not see was the”DNA” of a sports car. 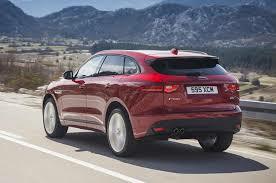 What I did see was the most recent iteration of Jaguar’s race to be exactly the same as their German competition. “DNA of a sports car”- Don’t make me laugh. Now I know that they completely tore the arse out of William Lyons’ timeless XJ. The distended carcass of this beautiful design the X350, washed up uninvited on our shores sometime around 2003. This was after the awful pastiche of a Jag called the X-Type (launched in 2001) which was what head office in the U.S. thought a car sporting the leaping cat should look like. Under the skin it was a Mondeo (which was a good thing) but this really was playing the heritage card, badly, once too often. The S-Type? Let’s not even go there. I’m not for a minute disputing something radical needed to be done. I am merely disputing what they did. A series 1 XJ. The X350 was a step too far and I can’t bring myself to put it here. It truly was time to call the emergency services and the fireman they hung their hat on was Ian Callum. A warm friendly Scot (a million miles from the dour stereotype) with 1993’s Aston Martin DB7 on his CV. What could possibly go wrong? Well according to most people nothing. Ian tidied up a few designs before doing what he had been hired to do-drag the leaping cat kicking and screaming into the 21st century. The first “all Callum” car was the XK launched in 2006. By far the nicest of his Jaguar creations. Utterly sleek and modern with a subtle nod towards the E-Type. Two years later he gave us the XF. The press raved about it. The punters loved it. Jag had supposedly found it’s 21st century mojo. I just didn’t get it at all. It certainly wasn’t a bad looking car in a generic, chubby Germanic middle of the road sort of a way. It also couldn’t have been further from previous Jags thus fulfilling another part of it’s brief. It certainly wasn’t sleek, it sported the same tail lights that have been found on most of Callum’s creations and apart from it’s gaping grille (which always reminds me of a stoned teenager with his mouth hanging open) was utterly bland. 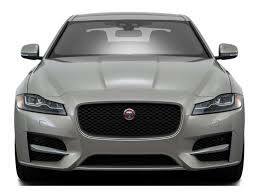 Jaguar since 2008 has to be a clearcut case of the Emperor’s new clothes. Either that or I really must be missing something. At their disposal is a back catalogue literally strewn with classic and timeless designs. Flogging this heritage unmercifully didn’t work but surely an occasional nod in it’s direction (as with the gorgeous XK) was only sensible? Let’s look at the current line up. Four proper cars and that *?! !ing crossover. From Jaguar. The new XE is fine and continues Jag’s new design philosophy (aping BMW). I can’t help but see the twenty year old E46 (especially those ultra short overhangs) every time I pass one. Not a bad car I admit but we already have one. The new XF continues to be the most overrated looking car I’ve ever seen. The new F-Type is I admit a good looking machine. Incredibly it’s billed as a spiritual successor to the E-Type but it’s no such thing. 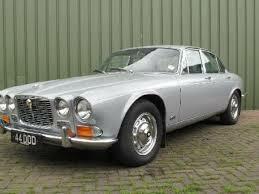 The E-Type, XJS and XK were all super sleek elegant GT cars. Oodles of power and style but certainly not out and out sports cars. The F-Type is more imitation of those Germans and is certainly more Z4 or TT than Grand Tourer. Where to start with the XJ? From the B pillar forward it’s all very XF (i.e. pretty boring) and it’s tail looks like a highly stylised hatchback to me. Out of proportion and really disappointing every time I see one. The F-Pace is just another crossover that the public seem to love. Maybe not the worst looking of the bunch (without question that crown belongs to the X1) but I had hoped that being part of a group including Land Rover they might have resisted going down this road. Unfortunately it wasn’t to be. Jaguar, like everyone else, now sell a car that is a little higher and chunkier and less well performing than it should be. They have a large saloon that looks like a hatchback, a small saloon that looks two decades old and an a mid size saloon that’s instantly forgettable. If car designers weren’t so anti-intellectual, Jaguar’s would hire a person to do a PhD in the matter of visual character. None of the current cars have this. It would take some qualitative and quantitative study to isolate what makes a Jaguar look so good. While I am not as cross as Mick is about it, I agree a lot has been lost. That said, I don’t hate the X-type but I am sometimes contrary. I agree I might have been harsh, but I feel strongly about this Richard. It is such a pity that Jaguar feel that this is the best way to sell cars. In fairness to them it seems to be working and they are selling cars but they don’t look like Jaguars to me. Poise, elegance, beauty? Nowhere to be seen. Didn´t the US soldier say to the civilian “In order to save this village we have to destroy it”. Something like this is going on with the old brands. I think we are seeing a really big shift away from the types of vehicles that made the brands famous. 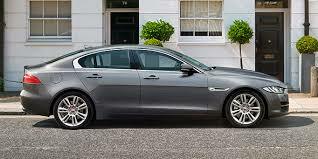 It might be that Jaguarness does not have to mean a sport saloon. It might be that we just have to accept this is what it takes to sell a thing called a Jaguar. I imagine that there are people in Jaguar who would love a range of three sports saloons and a roadster and nothing more. And there are people who love all that and also want to keep their jobs secure. So, really, I have to say that it´s not a nice trend but it´s hard to argue with the unfathomable shallowness of customers. The lucky firms will extend their markets and keep the core models safe so Volvo will always have a 940-type of car even if they sell masses of X-cars, for example. What you say is correct Richard, it’s just a pity everything seems to be funnelled in the same direction. The punters are a fickle and normally risk averse crew alright but if well packaged they will buy almost anything (eg the X6, the juke or the new Prius). It sometimes feels though, that we will all be driving either a 520d, a Qashqai or Tucson with no other option . After all the hype, Car (July) handed the gong to the Macan against the Jaguar and the Range Rover. That’s quite funny but I expect it won’t hurt sales at all.